Malick Sidibe was born around 1935 into a Peul family in a small village of Mali. He graduated from school in I952. After being noticed for his talent as a draftsman, he was admitted to the School of Sudanese Craftsmen in Bamako from which he graduated in I955. He decorated the « Photo Service » store of Gerard Guillat, also known as « Gégé la Pellicule », who offered him a job as his apprentice. That’s how he got started in photography in 1956. He opened the « Studio Malick » in I958 in the centre of Bamako in Bagadadji, on 30th Street, Corner I9, where he still prints his portraits today and repairs cameras. The wildness of the 1950’s, and the coming of independence, gave birth to a new generation of photographers who were totally involved in the cultural and social life that they recorded. 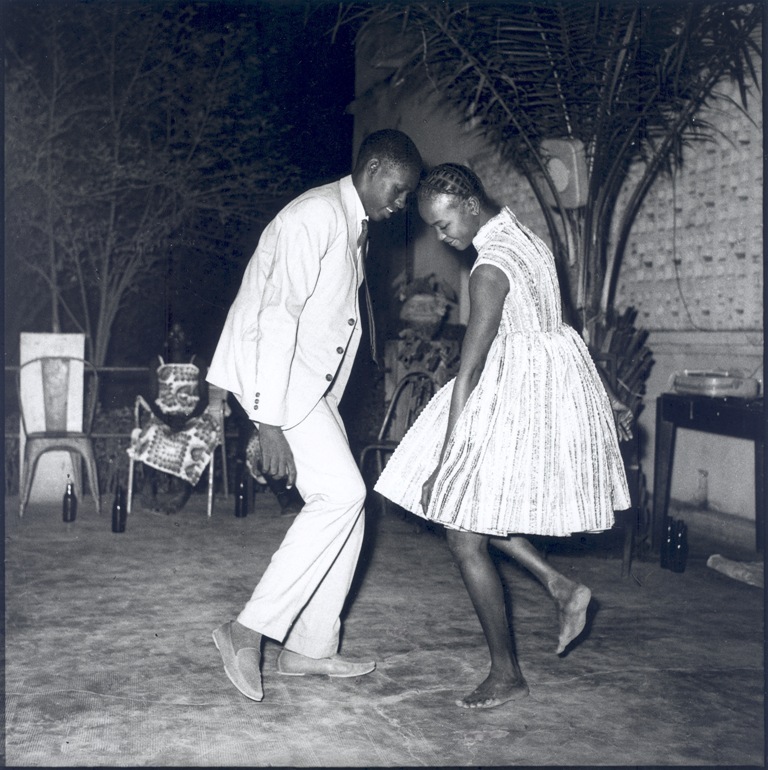 Malick Sidibe, was a pivotal character in all this, highly appreciated by young people, he was present at all the soirees where the young, organized in clubs, learned the new dances coming from Europe and Cuba, and dressed elegantly in Western clothes. In I957 he was the only reporter in Bamako who covered all the events, festivities and surprise-parties. On Saturdays these parties lasted until dawn and continued on Sunday on the banks the river Niger. This on-the-spot coverage provided simple pictures, full of truth and complicity. From his photos an insouciance and spontaneity emerges: he captured the playful partying, full of laughter and life. He quit this activity in 1978, but continued his studio photography and repairing cameras. When his work gained an international reputation, new horizons opened up for him. People flock to his studio, magazines commission photo-reports, and he is invited almost everywhere in the world for exhibitions and conferences. This exhibition is presented in partnership with André Magnin.